How do we look from over there? How Florida real estate looks when viewed from abroad. In my career, I have traveled extensively to Europe, to Central and South America and to Asia. I started out in my twenties, embarrassed by the brash, loud-spoken Americans that I saw sticking out in the crowds abroad because of his dress and his mannerisms, but I quickly grew to be very proud to be American as I learned to see the American though the eyes of my host countrymen. Sure, I am still annoyed at the boorish behavior of some, whether I am sitting in a nice restaurant in Fort Myers while my neighbor, who is wearing a baseball cap and shorts, talks loudly on his cell phone, or am in the Grande Place in Brussels enjoying Mussels Provencal and turn my head only to see the same guy. I have learned a great deal about Americans from the perspective of foreigners in my travels, and now I want to share with you what we are learning about our real estate market - from the eyes of the foreigners. Market America Realty & Investments, Inc. is dealing more and more with Europeans, Canadians, Asians, Australians, Latin Americans and Croatians. You will note in our web site that we are addressing issues like taxation, visas and remote property management. Because of the large number of overseas owners, we have installed a remote access portal for our property management through which owners can sign access info on their property we manage for them. You can take a tour of the system here. Perhaps one of the first impressions for foreigners is how open we are here in the US with information - previous purchase prices, owner’s names, law suits, etc. Indeed, with the internet there are really no secrets in the US real estate market. Even the MLS that we use is unusual; most other countries do not have a “one stop” location for homes on the market. Before we get to even talk about product, we have to address trust. The regulations and laws we have in the United States that govern how we must deal (honestly and fairly) may seem second nature to us, but we often field questions from how safe escrow accounts are to how the buyer can be assured that monies are properly dispersed at settlement. Our owner sign on system goes a long way to assuring clients that monies are accounted for properly. We also use video conferencing, and we make every attempt to attach a personality to our transaction leaders with the use of pictures and biographies so that our clients get to know us and feel more connected. We also take smart phone videos, via QIK, of property tours, meetings and even a drive throughout the neighborhoods. People do business with people they trust. Once we have trust, we get to other issues like taxes and the process of actually buying. Property taxes, income taxes, ad valorem taxes, HOA fees, estate taxes, tourist tax, sales tax and capital gain taxes – all are rather bewildering and can kill a foreign buyer's enthusiasm for owning real estate in the USA if not addressed properly. For a discussion on taxes click here. While most foreign buyers pay cash, there are foreign national loans available. Most of these programs have rather stringent documentation requirements and these requirements are not easy for the foreigner to understand: Copies of utility bills? A credit report? Three years of bank statements? Three reference letters? Remember, here in the US, we are accustomed to such openness. But in some countries without multiple list services, the fact that someone is even SELLING their home is kept secret from neighbors lest the neighbors think there is some sort of financial scandal going on. So openly offering these documents may be against their culture. It is often better to have these documents go directly to the banker. The programs we are using for foreign nationals that want to borrow are typically 60 to 70% LTV, 6 months of payments on deposit in the lending bank, interest rates of 6.75% and 30 year amortization. We can do better with larger loan amounts – over $500,000 – but LTV’s shrink to 50%. So what am I hearing about how our Florida real estate market appears to the foreigners? One word: Opportunity. There is opportunity to acquire hard assets in Florida at rock bottom prices. 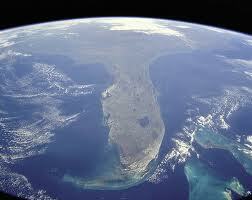 The attitude about Florida real estate is generally very positive. They believe we will fix our economic woes, but as that happens, there will be high inflation, and US real estate is a great hedge against inflation. A condo in Brisbane Australia is $1200 per square foot; we are selling them here at $150. A home in Singapore is $2400 per square foot; buy one in Fort Myers for $200/sf or less. Still, they are afraid of the market; it’s confusing. There are a lot of rumors, bad experiences, and “flipper stories.” Here is one article from an Aussie that was recently here in Florida (HERE). Imagine, if you can, reversing the rolls. You are going to China, where you do not speak the language or understand the culture, and you want to just buy a car, much less a house – it would be pretty daunting, wouldn’t it? But, if you were to go with a trusted friend/advisor that could translate for you, guide you through the maze and show you the proper paths, you would understand that the trust step is critical. Some of our foreign buyers will never live here; they want us to manage their rental property and are counting on inflation to take care of the rest. They know that a condo they can buy now for $150 to $300 a square foot has a global value that is perhaps triple this. If the investment can pay for itself, they will make their money on the appreciation. In their markets, it is difficult to purchase rental property that makes economic sense. Due to our good rental market and low acquisition prices, this IS possible in Florida. I am fond of my company’s tag line: Local Expertise, Global Exposure; The tag line means, even more now, that the company ACTIVELY markets Fort Myers real estate in Asia and Canada. We know that Southwest Florida real estate is a global bargain and that the international confidence in the United States' recovery is very high. There was a series of sales exhibitions throughout Asia, and we partnered with HHA Group out of Brisbane, Australia to market projects though out Australasia - Singapore, Kuala Lampur and Shanghai - in 2011. Southwest Florida properties were be exhibited at specially advertised presentations in these cities at using local brokers and existing connections developed by HHA Group and their principals. (We will stick to OUR expertise, thank you very much – Florida Real Estate). In these markets the local prices for condominiums is over $1000 per square foot. Compare this with our local market at under $200 and you can see why there is excitement. It’s pretty simple; the rest of the world is certain that we are in for sky high inflation and they want to own real estate when that happens. The Asian and Canadian buyers are very sophisticated. Prices may be high over there, but they do not expect to pay any more - being from China or Canada - for a waterfront condo in Fort Myers than would a buyer that walks through the door of sales center here in town. If a condo is selling for $399,000 here, then that’s what we sell it for in China. Please don’t call me and expect us to sell your project overseas while raising your prices to do so. This does not work and we will not do it. It is critical to keep reputation and trust foremost in any business dealing, but even more so when you are carrying the responsibility for the foreign buyer. Communication and education are paramount. Our role at market America is to manage and handle the property while it is owned by our foreign client and then to deliver them an exit strategy. We also need to deliver them a tight package – the property, the accounting and legal professional, the financing, the management and the exit. We are selling the relationship and expect to have these customers and their families for life. I know I am starting to sound like a cliché - but it isn’t just about real estate when you are talking about foreign buyers; it’s about the total opportunity, the complete package and the trust.